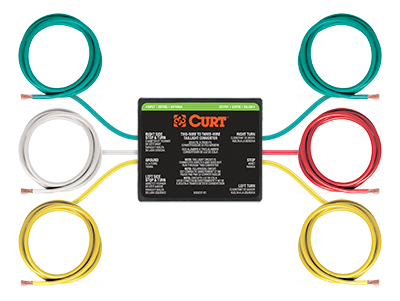 CURT offers a number of specialty taillight converters for atypical vehicle applications. We offer a multi-function converter, a 24-volt converter, a low-side switching converter and a 2-to-3-wire converter. Most also provide a standard 4-way flat trailer wiring connector.